Getting a flu shot is no fun and for many people having a needle stuck in their arm can be a scary experience, but FastMed’s two new Phoenix, AZ, locations take the sting out of your flu shot. So, if you find yourself asking where to get a flu shot in Phoenix, Arizona, come to FastMed. 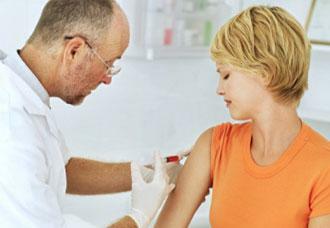 Our Phoenix, AZ facilities on West Indian Road and East Thunderbird Road offer walk-in flu shots for just $25! FastMed is a place where you can get a flu shot in Phoenix, AZ that is high on service and low on cost. If you’re searching for where to get a flu shot in Phoenix, AZ, there are several things to know about both the disease and the vaccine. The Centers for Disease Control and Prevention recommends everyone age 6 months and older get a flu shot every season with only a few exceptions. Effectiveness of the flu vaccine can vary based on the “match” between the given season’s vaccine and the specific type of flu virus that is circulating. The flu shot is most effective in younger, healthy people. There are no major side effects of having a flu shot. Minor aches, swelling or irritation at the spot of the injection are common and typically last 1-2 days. Anyone allergic to eggs should not get the flu shot as the viruses used in vaccinations are usually grown in hens’ eggs. Up-to-date flu activity in Phoenix, AZ can be tracked here. FastMed’s nine Phoenix, AZ clinics strive to treat every patient within one hour regardless of having an appointment or not. FastMed is open 365 days a year with extended weeknight hours. Our two new locations are even open until 8 pm on Saturdays. There’s no way to put any fun into a flu shot, but at FastMed, we can at least put the fast, convenient, and affordable into flu shots.